Today, millions of jailbreak users switching from jailbreak to latest iOS version, Due to very stunning improvements in new iOS you can try awesome iOS in your old iPhone, iPad models (iPhone 8, 8 Plus, iPhone 7, 7 Plus, iPhone 6, iPhone 6 Plus, iPhone 5S/ iPhone 5, iPhone 4S, iPad). For that, you don’t need any technical knowledge or Experience on the switch/ Remove jailbreak from iPhone, iPad. Many users have questions on jailbreak device like, Why Apple support does not help for jailbreak device, after removing jailbreak from iPhone Apple can find that device is made jailbreak before. Can I remove completely jailbreak code from the device, how is the security level in Jailbreak devices (iPhone, iPad and iPod Touch). From the Apple’s terms and conditions, Apple can’t support jailbreak device because jailbreak device have very pure security compare to not jailbreak the device, But after remove jailbreak through below steps you can get factory formatted jailbreak device, Do the new iOS setup that’s eligible for apple support. Below trick is useful on your All iPhone models, iPad Pro, iPad mini, iPad mini 3/2 and iPod Touch. Download latest iOS firmware for iPhone, iPad or iPod Touch or iPSW file. Step 1: Connect your iOS device to Mac/ PC using lighting cable. Step 2: Enter the passcode and Launch iTunes on your Mac/ PC. Step 3: Once your device sync, your device will appear on above tab. Before you go with the next step, turn off Passcode (Setting > Touch ID & Passcode > Turn Passcode Off) and Find my iPhone (Settings > iCloud > Find My iPhone > Turn off). Step 4: From the right pane, Tap on the summary tab for see full device instruction and restore or Update iOS. 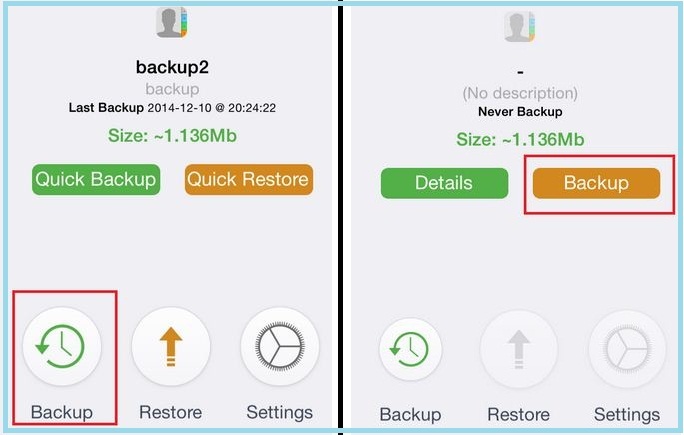 By Update iOS with current OS or Restore from the last backup you can remove jailbreak completely (Cydia store and All jailbreak apps). Tap on Check for update > Download and Update. It will automatically download the latest version of iOS and install automatically. It depends on your internet connection. Or: Press and Hold the shift key and click on restore or update. Brows popup will appear, Choose ipsw file (Last backup file) from your system. And restore your iOS device. I found many folks are trying to find the way for remove jailbreak without iTunes or remove jailbreak without updating ios, Buy you can’t-do that completely. Wait for auto restart/reboot iOS device, and do the new setup. 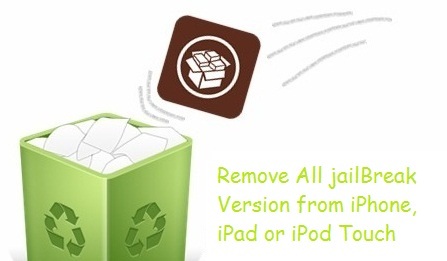 Now you have to Remove jailbreak from iPhone successfully. Same tricks work for other iOS devices (iPad and iPod Touch).